It was finally time to show you around Bucharest and it was the perfect timing, since it looks like winter wonderland. You're joining me on a walk through the park and a car ride through the city. For those uninterested in traveling, I also added my outfit. Though it's just me snuggled in 100 layers of fluff to keep warm, because winter wonderland is gorgeous, but also freaking cold! There were -8! I know, I know, there is worse. In my defense I was arriving from Milan where there were 8 with a + this time. Hope you enjoy this vlog! Please subscribe and give it a thumbs up if you would like me to film other vlogs. Wow, Bucharest is so beautiful, hope to go there soon! Great video! I really have to go there!! Thanks for the inspiration! You are so nice! Like it !! I was going to Bucharest last year, but something unexpected happened and I couldn't go :( Hope I can do it this year, but in the meantime, that's great to see it here! I loved the snow there and I loved your parka - so cozy! You look very beautiful with glasses too! Hope you have a great day! now I want to visit Bucharest too!!!! your outfit is really cute, love that black long parka and that adorable beanie. Amazing video hun! 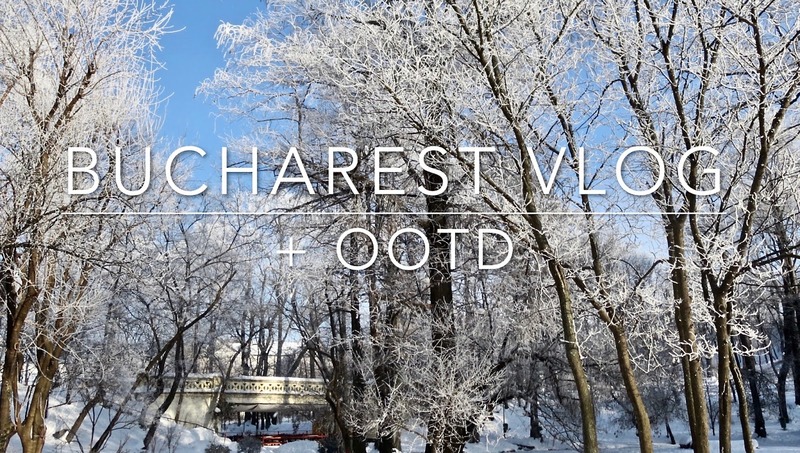 It definitely looks like you had an amazing time in Bucharest :) Love the outfit in the vlog too! Such a pretty city. And look at all that snow! Swoon! Carina, the buildings and parks there are magnificent! It definitely looks like a winter wonderland with all the snow. Love your outfit. Great jacket and hat. Bucharest looks so beautiful! Love the video! That's really look like wonderland ! All this snow it's sooo beautiful ! Fabulous vlog, Carina! I can't believe how magical Bucharest looks covered in a thick layer of snow - especially when you're surrounded by trees. Amazing! That's really a winter-wonderland! :) Soo beautiful!